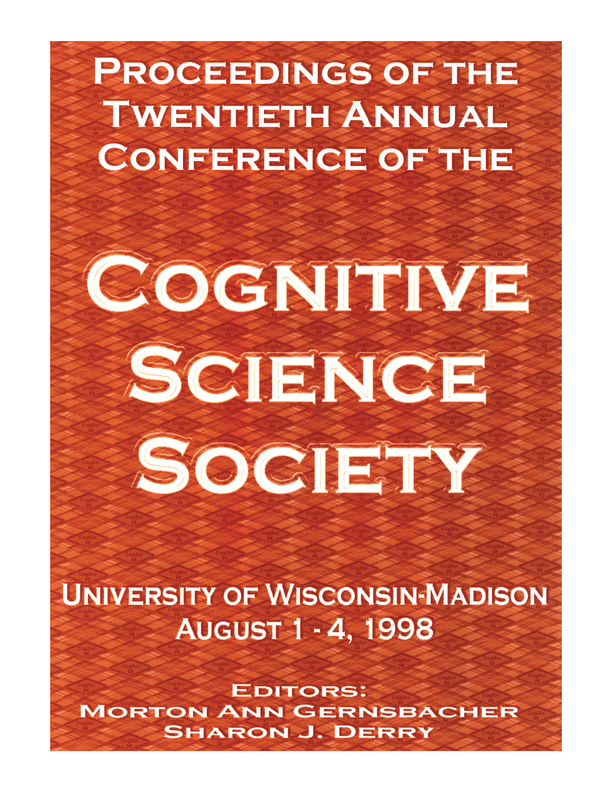 This volume features the complete text of the material presented at the Twentieth Annual Conference of the Cognitive Science Society. As in previous years, the symposium included an interesting mixture of papers on many topics from researchers with diverse backgrounds and different goals, presenting a multifaceted view of cognitive science. This volume contains papers, posters, and summaries of symposia presented at the leading conference that brings cognitive scientists together to discuss issues of theoretical and applied concern. Submitted presentations are represented in these proceedings as "long papers" (those presented as spoken presentations and "full posters" at the conference) and "short papers" (those presented as "abstract posters" by members of the Cognitive Science Society).